This new magazine release from DS Arms is designed to fit all Metric Pattern rifles and is a great and simple upgrade to your rifle. Extended pad allows for easier manipulation of the magazine release either using the thumb or finger approach. 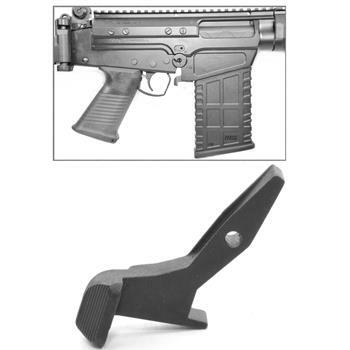 This feature makes this simple and affordable upgrade a great option for all FAL rifle shooters!